October 2, 2017 – Using data captured by ALMA in Chile and from the ROSINA instrument on ESA’s Rosetta mission , a team of astronomers has found faint traces of the chemical compound [Freon-40] – (CH3Cl), also known as methyl chloride and chloromethane, around both the infant star system IRAS 16293-2422, about 400 light-years away, and the famous comet 67P/Churyumov-Gerasimenko (67P/C-G) in our own Solar System. 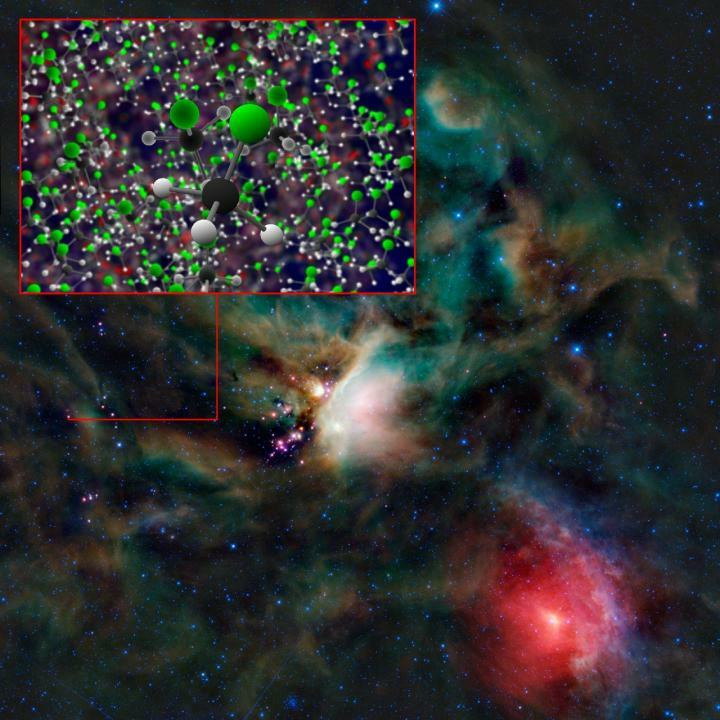 The new ALMA observation is the first detection ever of a stable organohalogen in interstellar space. Organohalogens consist of halogens, such as chlorine and fluorine, bonded with carbon and sometimes other elements. On Earth, these compounds are created by some biological processes — in organisms ranging from humans to fungi — as well as by industrial processes such as the production of dyes and medical drugs.